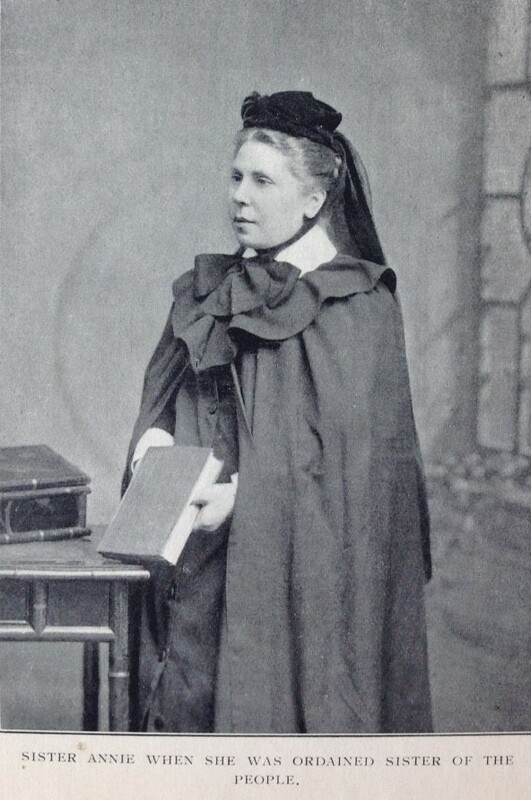 In 1893, when J Tolefree Parr came to Surrey Chapel, the Central Mission in Blackfriars Road, in south east London, there was no Order of lay women, like the Wesleyan Deaconess movement, in the Primitive Methodist Church, although Thomas Jackson had ‘Bible Women’ (from the ‘Domestic Mission’) assisting him in his work at Clapton. However, the West London Wesleyan Mission, under Hugh Price Hughes, had started a Sisterhood, and the reports of their work convinced Tolefree Parr that this was what they needed at Blackfriars. To raise the money to pay the salary of a Sister, he wrote to 25 friends and asked each of them to give him £1 towards the first year’s salary. The salary was to be £50 a year, but he believed that when the Sister started, and people could see what she was doing, the other half would be raised without difficulty. The most important question was “Where shall we find the Sister?” The Samaritan Committee met and unanimously decided to ask Emma Davis, one of the Sunday School teachers, to become their first Sister of the People. She was concerned that she was not well-educated, and had not had any training, but she had felt called by God since childhood to this kind of work, but it had seemed impossible until now. Her role was to serve the poor in the area around the Surrey Chapel, which was unrivalled in the whole of London for crime, poverty and overcrowding. 68% were living below the poverty line. Families were living in one room, in one case 19 people in a single room. The houses were nearly all let out in tenements, each family living in one room. She visited the sick, laid out the dead, fed the starving, brought fuel for the freezing, battled against the evils of drink, and told people that Jesus loved them. Many had never heard of him. The difference she made led to other Sisters of the People being appointed to serve in the very poorest areas of greatest need of hope and light.